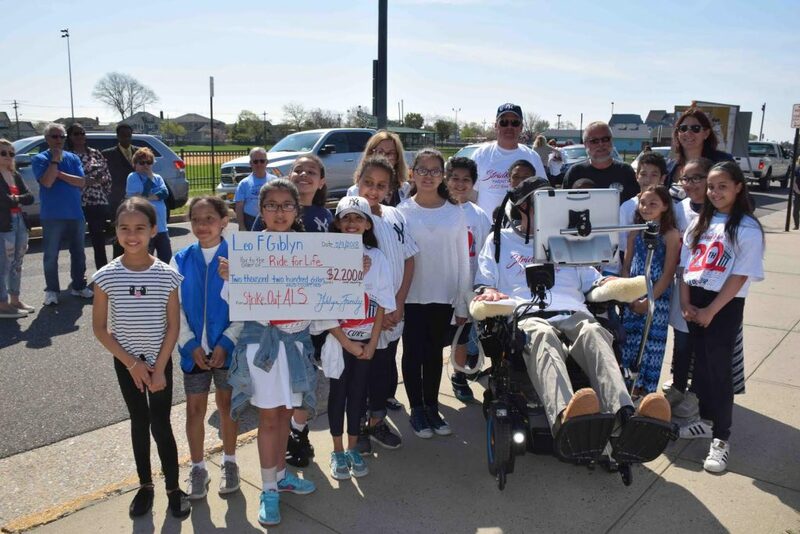 As a way of displaying its continued and unwavering support for the fight against amyotrophic lateral sclerosis, Leo F. Giblyn School in the Freeport Public School District welcomed Chris Pendergast and the Ride for Life Group for the fifth consecutive year. 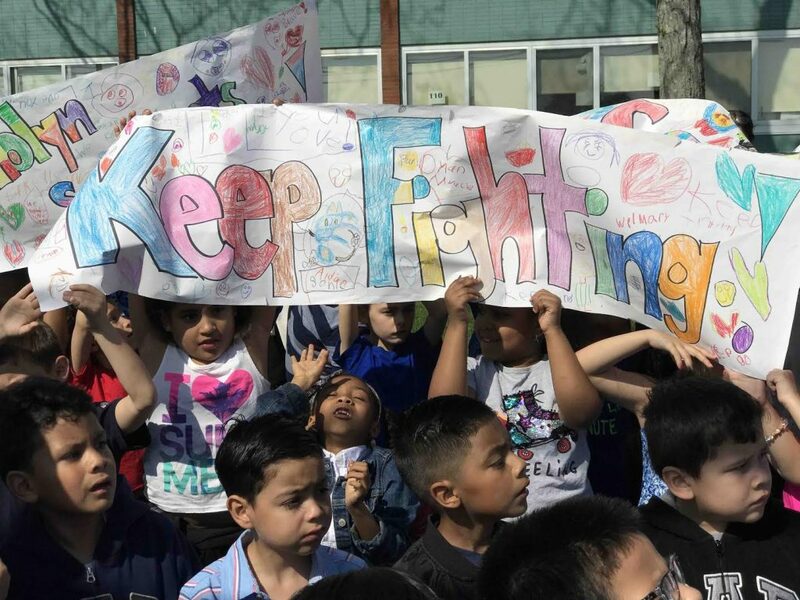 Chanting “Strike Out A-L-S,” students displayed colorful signs and banners of support for the riders, who are all at different stages of the neurological disorder. They also serenaded them with moving performances under the direction of music teacher Shannon Abramovitz. 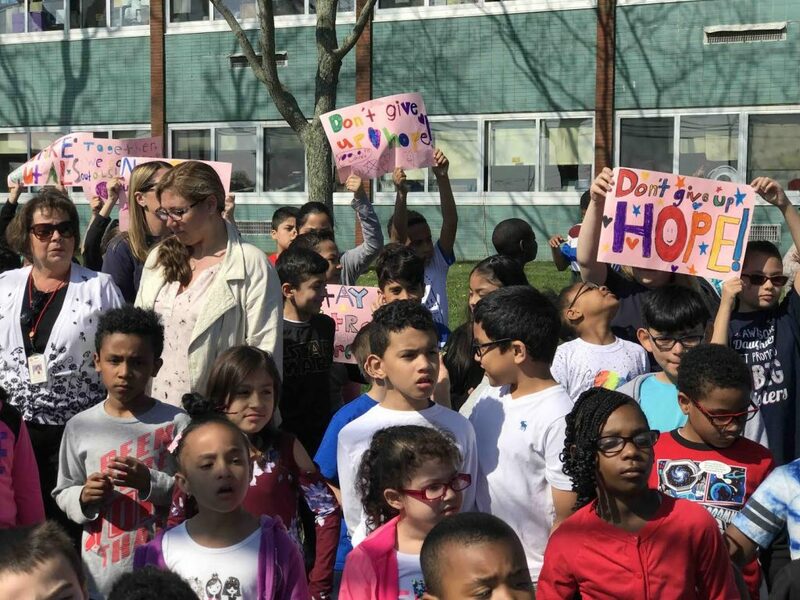 As a result of the school’s fundraising efforts, the group was presented with a check for $2,200, an amount that figured to increase in the coming weeks. The event reinforced the importance of altruism, perseverance, compassion and determination, and supported a tremendous cause in a heartwarming way. Photo caption: 1-3: Photos from the fifth annual Ride for Life visit to Leo F. Giblyn School.